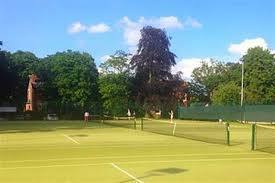 We commence group coaching at Claremont LTC immediately after the half-term holiday. The initial program will be run over 6 weeks which will take us up to the Easter break. FREE LESSON - Block bookings get all 6 lessons for the cost of 5. If you are having any difficulty booking on-line, please email me (stevetenniscoach@hotmail.com) or contact me on 07951441812 with players' (and parent's, if applicable) names and which course you would like to reserve. Individual lessons for this Month are available to view and book in the Adult coaching section of this site. Contact me directly if there are no available times that suit you. Lessons are usually available Monday, Tuesday and Wednesday evening. There is also weekend availability. Looking ahead, I'm keen to get get us involved in LTA initiatives like the family Quorn challenge and Junior Road to Wimbledon. Also, we'll commence some Cardio tennis classes after Easter - a great way to keep fit while practicing your hitting.